We are always excited to profile one of our own, an Itchy Nomad that is making their dreams happen. JOHN: Hey welcome everyone! This is John O’Rourke from www.Itchy Nomads.com. We are really happy to have CiCi Sayer, the owner of Offshore Blue Adventures sharing her story with us today. CiCi has generously agreed to do this interview with us to tell us her story about how she went from unemployment to funding and starting a Whale & Dolphin Tour excursion company. Welcome CiCi, it’s great to have you join us! So let’s get straight to the interview. JOHN: Hi CiCi, To start please tell us about Offshore Blue Adventures? CICI: Offshore Blue Adventures was officially launched June 1, 2011. We are based in San Diego, California. I had been working on a business plan for about a year and a half prior to our launch as well as trying to do fundraising to purchase the boat. Offshore Blue Adventures is primarily a Whale and Dolphin watching business, however Harbor tours and special event tours are also offered. 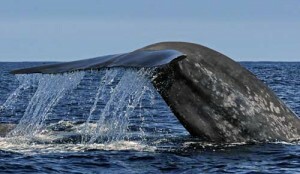 We are one of the very few “small boat” whale watching charters in the region. 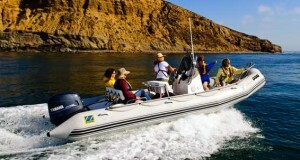 We run a RIB boat (Ridged Inflatable Boat) and carry no more than 6 passengers. Our unique draw for our guests is that we offer superior Whale Watching adventures without the crowds. Everyone gets a front row seat. Because our boat is fast (20+knots) we can go in search for whales and dolphins away from the larger whale watching boats when the waters start to get “crowded”. We often have spectacular views, because the whales that we find are not disturbed or stressed by too many boats around them. We have even had whales approach our boat to check us out! JOHN: CiCi, How did you come up with the idea to start Offshore Blue Adventures? CICI: Since I was a little kid I loved watching the TV show “The Undersea World of Jacques Cousteau”. I had been working as a Charter Boat Captain for about 20 years, doing Whale Watching in the winter and sailing in the summer. In 2009 when my summer job as a Shore boat driver on Catalina Island ended, I contacted a number of charter boat companies for a job as a Captain. Unfortunately, because of the recession, no one was hiring. That is when it hit me. I would “Hire Myself”! I knew what I wanted to do and what I loved, so that was the easy part. Starting a business in a recession was the hard part. JOHN: Is this the first business you have owned? CICI: Yes. I have been “self-employed” as an independent contractor for many years working for other companies. JOHN: CiCi what challenges did you have to overcome in starting your business? CICI: Of course, as I mentioned before, I started working on the project in the middle of the recession, which was challenging enough, but my biggest challenge was overcoming my fear… fear of failing, fear of success, the uncertainty of stepping out off the edge of a cliff in the dark. I almost didn’t dare tell anyone what I was doing, for fear of being told that I was reaching too far, that I should wait for the economy to improve or worse yet, that I should just stick to the tried and true. Once I made up my mind to succeed, I started building a business plan. 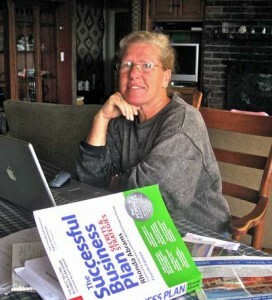 I had never written a business plan and didn’t know where to start. I bought books on the subject and followed the step by step directions. Then with my plan in hand, I began applying for loans and grants. A loan was out of the question because I was unemployed, and the nature of the business I wanted to start. I was turned down at every corner. No grants were available for me either. When the loans and grants were not forth coming, I had to start asking for loans from friends and family members. This was excruciatingly painful for me. But I was desperate, so I got on the phone and started dialing for dollars. I was able to borrow from my brother and a friend about half the money I needed to get started. After that I turned to what, back five years ago was a new form of fundraising known as Crowd Funding. There are now many sites such as Kickstarter for raising funds online. I found a company called ProFounder, which specialized in helping new companies raise money. I was able to tap into my network of people I knew who could help me get my business off the ground. I raised the second half of my funding needs that way. JOHN: That’s terrific and really interesting. Can you explain the arrangement and terms that occurs with Crowd Funding? CICI: Crowd Funding is a great online resource for raising funds from family, friends and strangers. The basic idea is to create an on-line profile and description of your business (or why you need financial help). Once your profile is complete you can publish on line and then use all social media sources to attract donors or lenders to your site. Various sites request or require that you offer incentives or rewards for your Donors. For instance, I offered a free trip for donors of $100, and free lifetime membership trips for donors of $1,000 or more. Funds are usually held until the target amount of raised funds is achieved. Some sites require an all or nothing result, meaning if you didn’t raise the full amount, all funds were returned to the donors and you would have to start over. Other sites do not have this requirement. You should read the fine print before you choose which source you will use as there can be some hidden surprises. There were other challenges that were not so evident until I actually bought my boat. Since I was planning on keeping it on a trailer, I needed to learn how to launch and retrieve the boat by myself, and how to tow and back up a trailer. That was a pretty steep learning curve and I was scared to death! JOHN: I commend you on learning these new skills CiCi. We also appreciate you admitting that you were afraid and unsure of yourself and that overcoming your fears was your biggest challenge. What kind of help did you receive and from whom? CICI: Most of what I had to learn, I had to teach myself. To learn the practicalities of towing and launching the boat, I went immediately to YouTube. It is amazing the things you can learn that way! But then it was practice in real life, mostly during the midweek when the launch ramp was empty of all those macho men and their boats. JOHN: CiCi what experience and skills did you need to start and run your business? CICI: Well, to start with, I already had my U.S. Coast Guard 100 Ton Master Mariners certificate (also known as a Captain’s License). 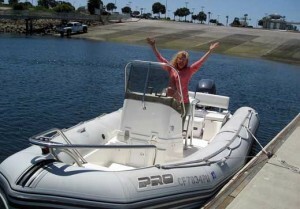 It is a requirement for running a charter boat in the USA. I also had many years of boating experience, so that was the easy part. And I had finally mastered the art of launching the boat by myself. What I really needed was marketing skills, of which I had none. I needed a website, and a presence on the internet. One of the big lessons I learned was to get a GREAT WEBSITE. I didn’t have the skills or the time to build my own website, so I started out with a site that was built by a “friend of a friend of a friend,” on the cheap. That was a real mistake. The first year I was virtually invisible on the web. Frustration finally drove me to take a seminar on Web Marketing, where I learned about all the mistakes that were made on my site. So I bit the bullet, and went for the full makeover. It was not inexpensive, but what a difference a having good webmaster makes! The business began to take off almost immediately. Learning to manage my online presence has been fun and challenging, but also very time consuming. I often will get going at around 6:00 am, writing my blog, updating my online ads and other sites where I have a presence. After a day’s charter, I will often be back at the computer uploading photos to the blogs, Facebook, Twitter, and where ever else I can. Add to the mix answering email & phone reservations, and that is a full time job all by itself. It is all about being visible online. JOHN: CiCi can you share with us the Pros and Cons of being self-employed? CICI: The Cons are that you have to do everything yourself. But the Pros are you get to do it all your way! That is the easy answer. As you can see I wear a lot of hats, and finding a balance is always a bit tricky. It requires me to be on call seven days a week. I finally decided to take one day a week to NOT run the boat. The last thing I want to do is burn out, and I am not yet to a place where I can hire anyone to help me. The best part of running my own business is that I absolutely love what I do. I love being able to share my love of the ocean with my guests, and seeing the joy on their faces when they see a thousand wild Dolphins, or a Whale surfacing near the boat. That is priceless. JOHN: Your enthusiasm shines through CiCi. I bet your guests really benefit from your personal enjoyment and expertise. What surprises have you encountered with owning your business? CICI: What surprised me most was how hard and time consuming the “hidden” Administrative aspects of running a Whale Watching business could be. Of course my guests think that I have the greatest job in the world and they are right, but what they don’t see, is the boatyard work, the computer work and all the other administrative tasks that are involved in running a business. Another surprise was how physical the job was. Working around boats is a great way to stay in shape, but I often come home with bumps and bruises, and exhausted from being on the boat all day. JOHN: What lessons, tips or strategies would you share with other budding Entrepreneurs? CICI: I would say that the first and most important step to starting a business is to prepare a business plan, and be brutally honest with yourself in the preparation of it. This is not the time to be deceiving yourself. You need to know all the pitfalls before you step off the cliff. Surround yourself with people who believe in you, and will support you when things aren’t going so well. Never forget to say Thank You often to those who have helped you along the way. Once you get your business started, work, work, work hard to make it a success. Don’t be afraid to make the hard decisions. My private Mantra was and still is “Failure is NOT an Option”. JOHN: What do you love and don’t love about this lifestyle? 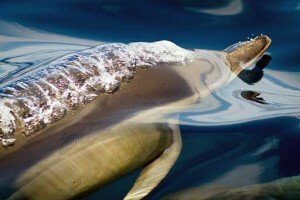 CICI: I love being outdoors, on the water and seeing the whales and dolphins and other wildlife out in the ocean. I really love watching little kids when they see a Dolphin jumping in front of the boat, and how happy everyone is when they hear the sound of a whale breathing. What I don’t love is harder to define. There are some days when we don’t see anything. No whales, no dolphins, not even a sea lion. While I am happy just to be out on the water I do hate to disappoint my guests who have paid good money to see some whales or dolphins. Those days I feel a bit like a fraud, like I am responsible for the whales not showing up for the job. I tell my guests that the whales are not on the payroll, and everybody laughs, but I still feel bad. JOHN: Well what you described CiCi is a lot like fishing. We have a friend that always tells his guests when he is taking them out fishing, “We are not going fishing, we are going for a boat ride and we might catch some fish too”. The fact that you care so much I am sure is felt by your guests. CICI: I plan to keep the business running for as long as I can. I started Offshore Blue Adventures as a means to support myself until I retire. But now I have no plans to retire because I see no reason to stop doing what I love to do. I hope that down the road I can add a second boat and be able to hire another Captain. But for now, I am just enjoying the adventure! JOHN: CiCi do you want to issue an Invitation for people to come out with you on an Offshore Blue Adventures charter? CICI: I would invite anyone who wants to experience a great Whale Watching adventure to join us at Offshore Blue Adventures. SPECIAL OFFER: Just let me know that you are a Itchy Nomad and you will receive a 10% discount on your first trip with us! JOHN: That’s a great offer CiCi and I am sure some of our Caravan will steer their way over to take you up on that.. Thank you very much for taking the time out of your schedule. We know you have to get back to work. Your story is a great illustration that someone can turn a negative, for you it was being unemployed, into a dream come true with focus, perseverance, determination and a little help from your friends. We hope you enjoyed our interview with CiCi Sayer from Offshore Blue Adventures. We encourage your Questions or Comments for CiCi or me. Please write them in the Comments below this blog posting and we will make sure CiCi, Suzanne or I get you a response. We hope you are working on making your own dreams come true. We would love to hear about them in any stage they may be. 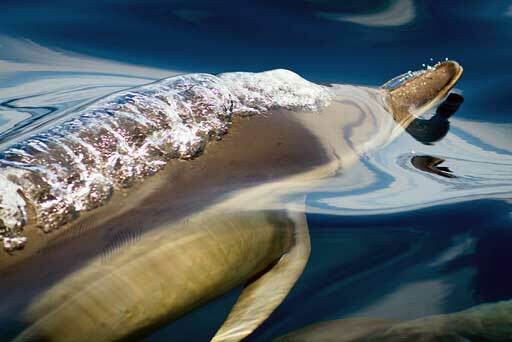 CiCi recommends these items should you be interested in Marine Mammals. IMPRESSED BY YOUR DETERMINATION TO START YOUR OWN BUSINESS. HOPE TO TAKE YOUR WHALE BOATING ADVENTURE IN THE NEAR FUTURE. Thank you Mrs. Hine, for your kind words, & for passing along my story. Best wishes to your grandson and best of luck too! Great interview, interesting and informative. Cici, all the best in your adventure, living life at it’s best, doing what you love. Thank you for the nice feedback on the Interview. CiCi really has worked hard to get where she is and it was generous of her to share her fears and challenges in such a constructive way. I am sure CiCi will appreciate your comments too. Great profile of a wonderful person. Cici drove Shoreboat for me on Catalina Island for quite a few years, and was a pleasure to work with in that capacity. I am very happy to see that she has found a new niche on the water, and her enthusiasm and spirit are very evident in her interview. I wish her continued success and hope that she will have many tales to share as she continues to pursue here love of the sea. Thank you Doug. So glad you enjoyed the profile. It is fun to see the direction of people we’ve shared some paths with. I am sure CiCi will continue to be more and more successful. Really appreciate your comments. Hope you are enjoying your own adventures. Thanks Doug, for your kind words! Working in Catalina did prepare me in many ways for my new “job”. I hope that you and Maureen are enjoying some adventures of your own!